BIRMINGHAM City Council is going to withdraw its contract with UK Border Agency and will no longer be accepting asylum seekers. The decision was made because of the long list for housing and increasing amount of homelessness in the city. “We have seen a sharp increase in the number of homeless people in Birmingham and we must help the citizens of this city first and foremost”. He defended his decision by claiming that Birmingham Council weren’t alone, as Wolverhampton and Dudley will be making a similar move. Birmingham City Council claim that they will continue to provide up to 190 homes for asylum seekers. Could this be a convenient popularity move, with next years council elections looming? “I accept that the housing department is under stress with a big waiting list, an increased number of homeless and asylum seekers to cater for, but that should not have led to the council refusing to provide accommodation for a reasonable number,” he said. This instance creates media hype, leading citizens into the false pretension that the country is overloading with asylum seekers, when the facts are very different. “The notion that there is a flood of asylum-seekers into richer countries is a myth. Despite what some populists claim, our data shows that the numbers have remained stable,” says Guterres. “One wonders how many country these so-called asylum seekers have travelled through to get to Great Britain. If I needed urgent help I would go to the nearest neighbour who was at home at the time not travel to the other side of the country to find someone at home who could help me”. Should we pity the ignorant? 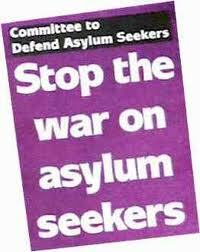 And why did they refer to asylum seekers as ‘so called’. I’ve never heard of them being referred to in this way. How ridiculous, someone would think that it is THAT easy to turn to your neighbour for urgent help, when so many asylum seekers come from such war-torn countries. 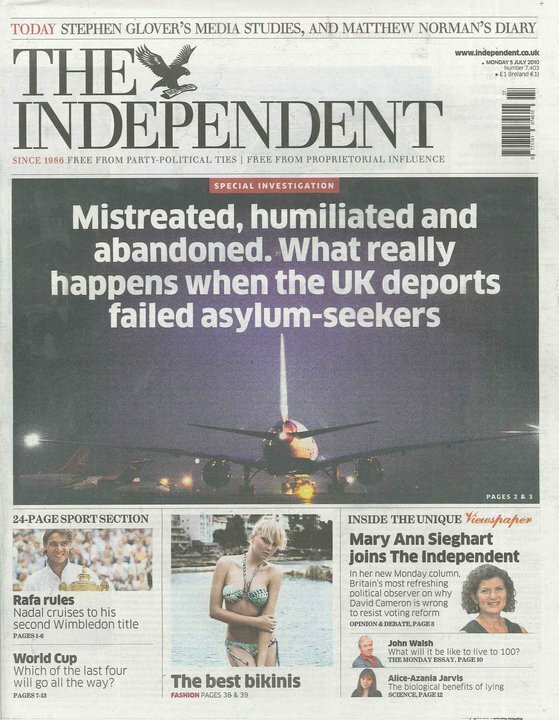 Asylum seekers living in England face constant abuse, yet it is still their better option. Living in a new country, often with very few ties and in poor housing if any at all, not knowing if they are able to feed their children. Doesn’t this say something? Asylum seekers are not allowed to work for the first six months on arrival. This forced idleness leaves many feeling depressed and branded ‘lazy’. However, some asylum seekers left businesses and high paid jobs such as doctors, with no other option. The £35 in vouchers each adult can expect to get a week humiliates, and could create prejudice in the eyes of fellow shoppers. You may think along the same lines as me, that the selfish attitude of ‘look out for our own’, is that of the ignorant. However, Cllr Lines himself said the city needed all its properties “for our own people”.